Right about this time of the year, the end of September into the beginning of October is when the weather usually starts to turn for much lower numbers. This is something Mancini can’t say he looks forward to. This is a picture of A&S Pork Store and Fine Foods in Jefferson Valley, New York. Virginia Mancini, the wife of Mario, also realizes how the weather affects her husband’s time spent at the store. “It’s always interesting to see how much earlier Mario comes home from work in the colder months versus how late he comes home during the warmer months,” she said. When the weather is nice and the store is busy there are a lot more orders and responsibilities that need to be taken care of. The entire store needs to be cleaned after it closes and properly prepared for the following morning. Obviously, when it’s busy this takes up more time than it would when it isn’t. 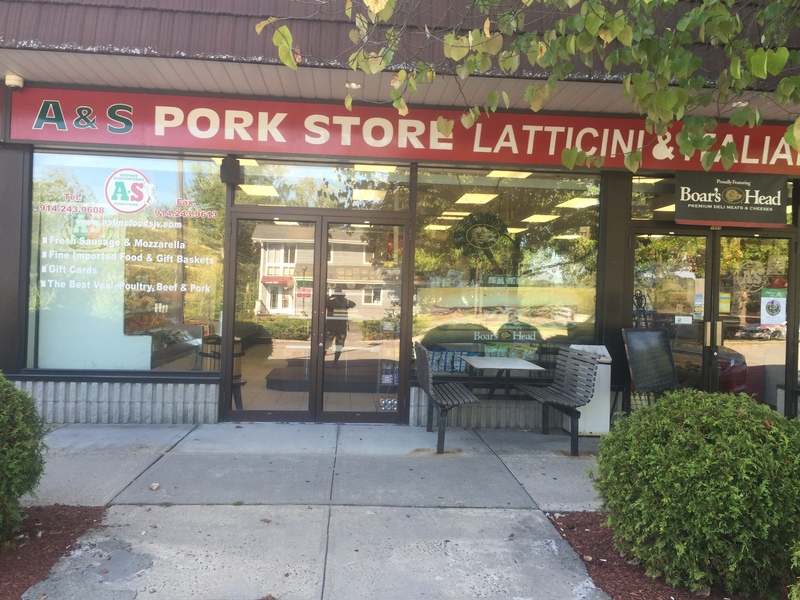 According the store’s website, http://www.asfinefoodsjv.com, A&S Pork Store and Fine Foods is a traditional Italian deli and caterer for special events. All of the sandwiches, breads, meats, and mozzarella are prepared fresh daily. The store prides itself on being “Westchester’s Finest Caterer – since 1948” as its website states. Its catering service ranges from White Plains to Northern Westchester. One customer extremely loyal to A&S Pork Store and Fine Foods is Angela Mancini of Yonkers, New York. Angela is Mario’s older sister. She tries to stop at the store at least every couple of weeks. It takes Angela about a forty-five minute drive to get to the store. Once the weather reaches colder temperatures, she is much more hesitant to make the trip. Mario is in his twenty-second year of acting as owner and manager of the store. At the beginning of his tenure he couldn’t really understand why his sales would drop around the same time each year. Today, he is fully aware as to why his sales drop yearly at the end of fall and the beginning of winter. This entry was posted in Uncategorized and tagged off campus, Weather. Bookmark the permalink.